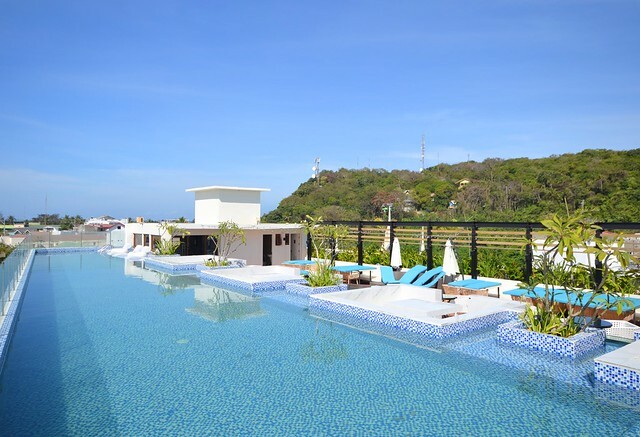 Way back in 2016, my friends and I had the chance to stay at Ferra Hotel Boracay, which, at that time, is a newly opened property in Bulabog area. The location of the hotel is nice since it’s just a few minutes from D Mall and centrally accessible to both White and Bulabog Beach. 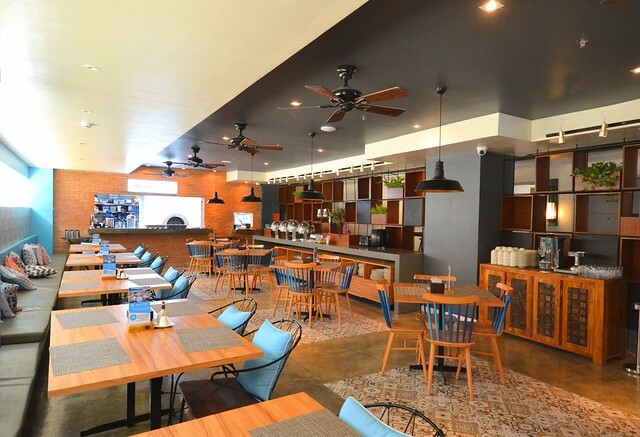 With Boracay’s closure and redevelopment last 2018, several establishments had renovations and new properties were introduced. 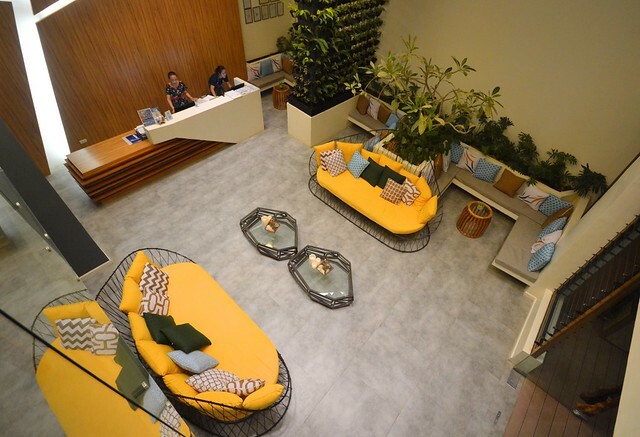 On my recent trip after the island’s reopening, it was glad to know that Ferra Hotel Boracay has now a sister property, the family-friendly Ferra Hotel and Garden Suites. Colorful hotel lobby and the signature backdrop of the front-desk. The property officially opened and started welcoming guests early this year. Ferra Hotel and Garden Suites has 43 rooms, a combination of five room types; Superior Queen, Deluxe Queen, Deluxe King, Junior Suite, and Garden Suite. It is patterned from its sister hotel but this latest addition offers a forward-looking architectural design and a vibrant atmosphere that will surely charm all guests that will be staying in the property. Natural light in the lobby will welcome you once you stepped inside the hotel. 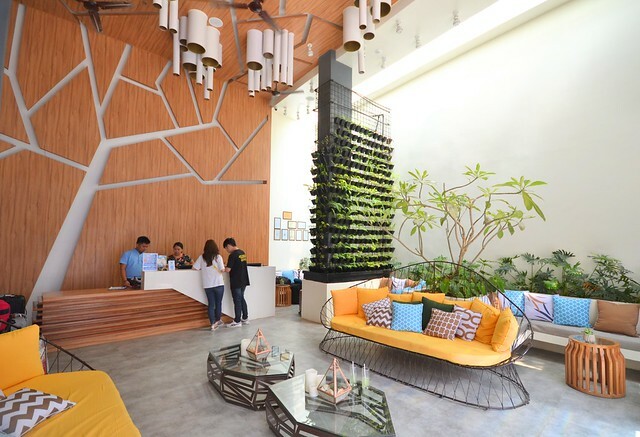 High ceiling, the signature wooden front-desk with the tree on the background, massive couches, and vertical garden. 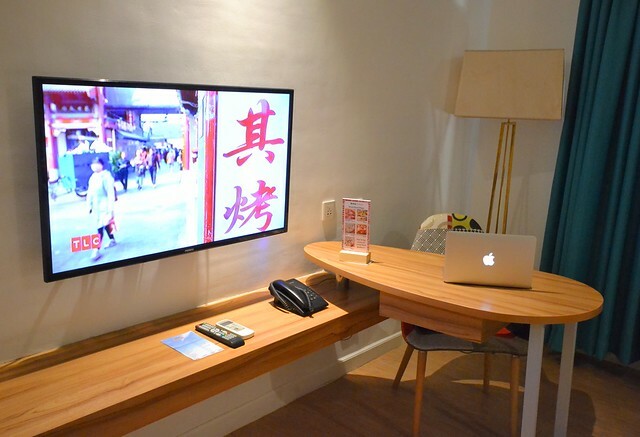 Those, plus the ever-smiling hotel crew, comprise the Ferra Hotel and Garden Suites lobby. Before subjecting you to the usual check-in protocol, a refreshing glass of cucumber lemonade will be given. If it’s not the standard check-in time yet, hotel staff will offer to store your luggage just in case you’re already eager to see the beach or grab lunch. I was lodged in a Deluxe King room with a king-sized bed and a day bed on the side. 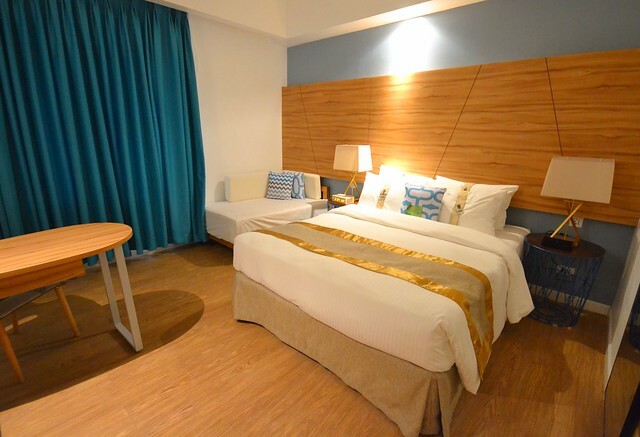 The room can accommodate two adults and kids, enough for a family of 3 or 4. Soft linens secure the beds with several pillows marked with its feature; either soft or firm, on your preference. Wood work inside the room is remarkable, from the vast headboard to the working station. Cabinet has a sliding door, fully-covered with a mirror, that slides between the wardrobe and the in-room facilities such as the coffee and tea making facility and the fridge. The wooden digital clock is super cute I want to bring it home. I love how the room plan designed the work station. The work desk is placed perpendicular to the wall making it a nice place to multi-task between working and watching TV shows. Flat-screen television, universal AC/DC adapters, and several plugs are within reach. Of course, you’re in Boracay to relax not to work and the desk can dual as a dining area providing enough space for your food. For the bathroom, clear glass segments the shower area from the lavatory. 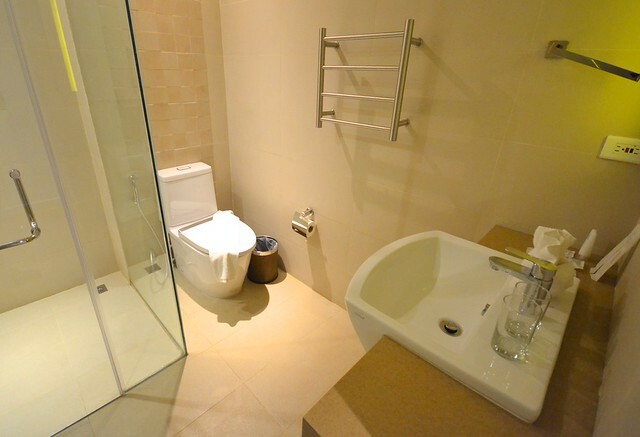 In fairness to the bathroom, it’s spacious that you are not limited to move around. The sink has enough spaces on both sides to secure your toiletries and shower stuff from getting wet. A small drying bar can be used to dry some swim wears, while usual bath essentials such as dental kit, shower gel and shampoo, lotion, and shaving kit, are present. 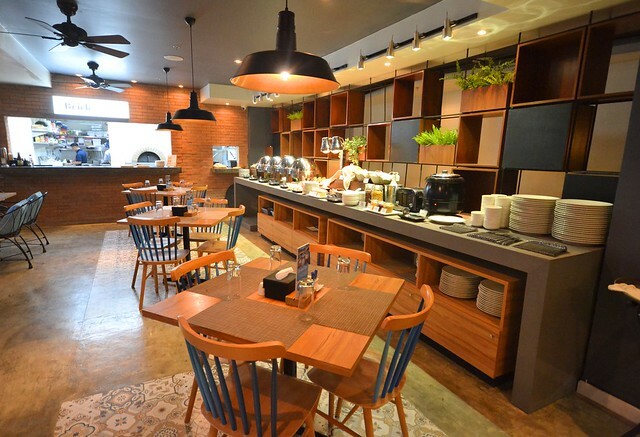 Breakfast is served at Brick and Basil on the ground floor of the hotel. 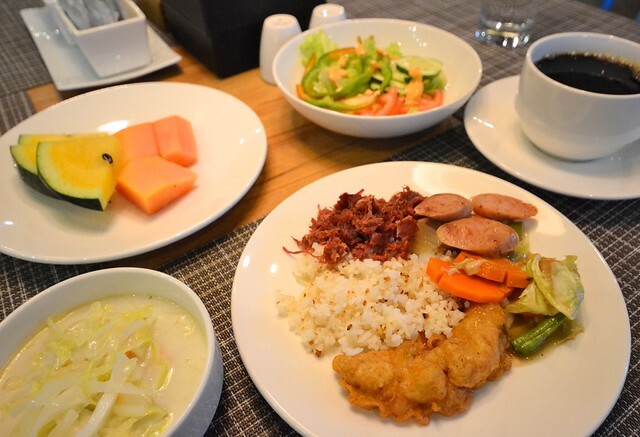 The buffet spread is not that excessive but ample for a nice morning meal. Buffet spread includes a soup section, cereals, and bread, pancake and waffles with several jams and spreads, four viands, and egg section. Coffee, tea, and fruit juices complete the buffet spread. Buffet breakfast included on the room rates. 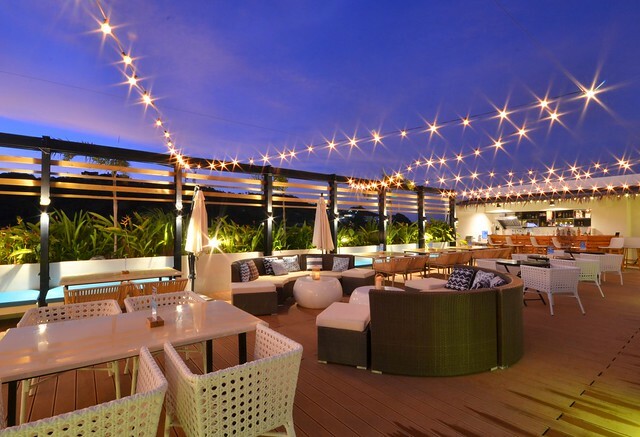 If you want to enjoy the heat of the sun but tired of the crowded beaches of Boracay during midday, then head straight to Ferra Hotel and Garden Suites’ roof deck swimming pool. There are several sun lounges on the poolside and even on the pool for some sunbathing. Booths at the poolside can also serve as a great spot for families to bond and share some meals together. 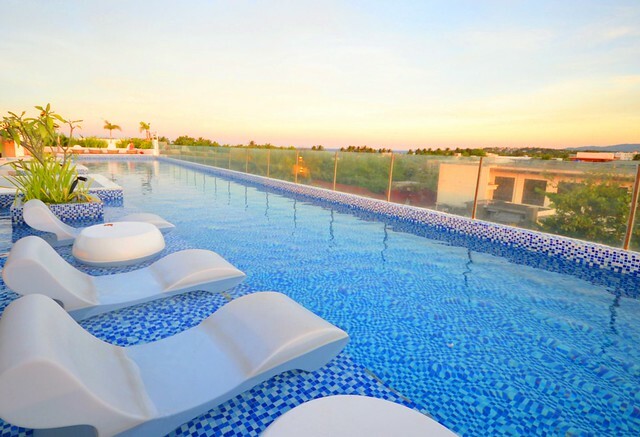 Sun lounges on the hotel’s roof-deck pool. 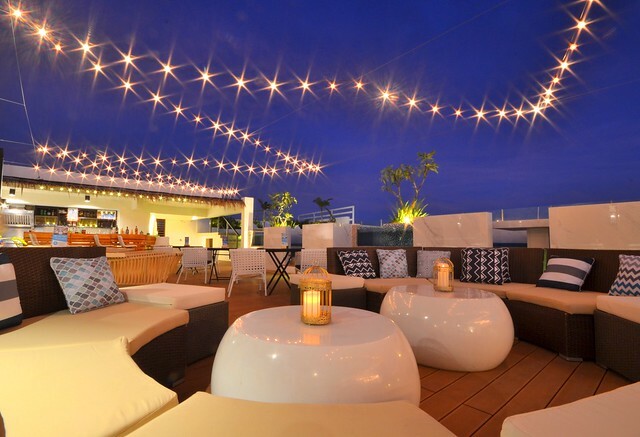 Speaking of food, the roof deck of the hotel duals as a bar in the evening. 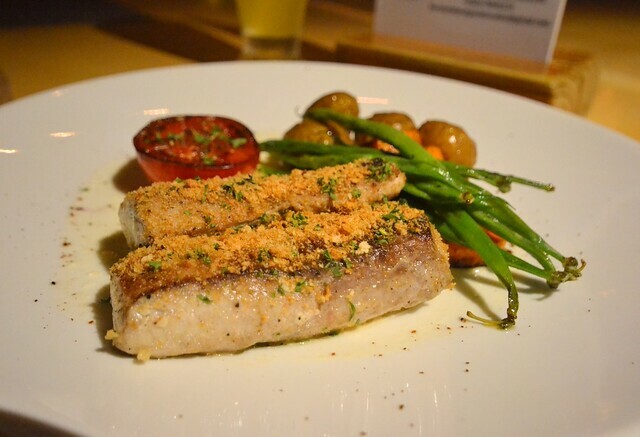 Selected cocktails and food from the in-house restaurant Brick and Basil are the options for dining guests. By the way, one of the inclusions of the room rates is a one-time free cocktail for guests. 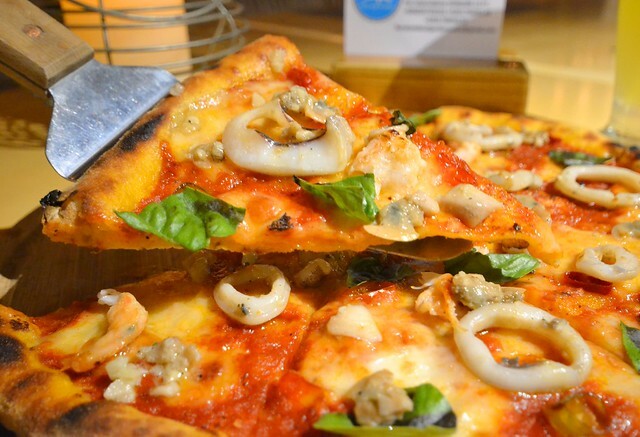 You can pick items from their varied menu comprising wooden-fired pizza, salad, wood-fired meals, appetizers and soups, pasta, and dessert. Drinks are available from local beers, canned juices and sodas, cocktails, shake, and fresh juices. 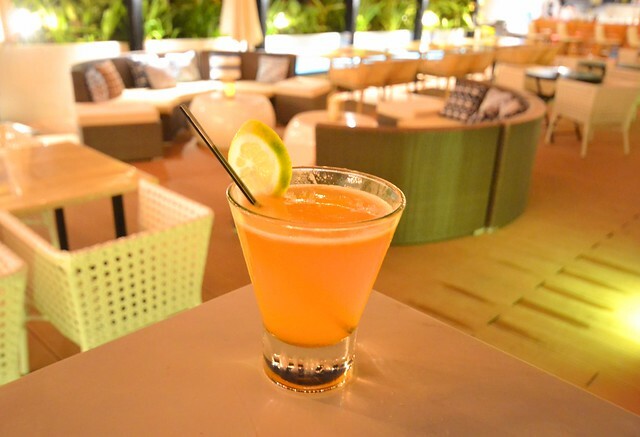 One-time free cocktail for hotel guests. 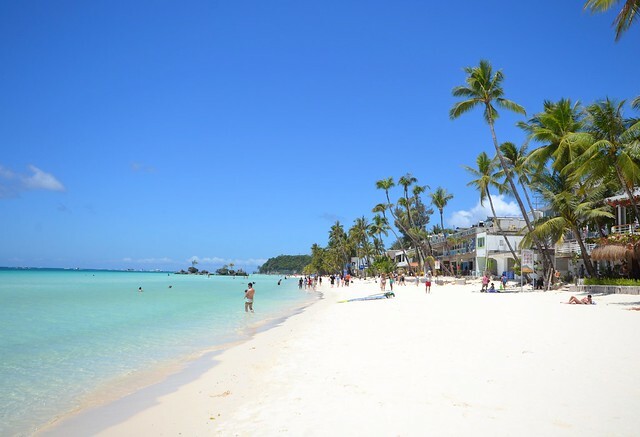 Development in Boracay Island is non-stop that there’s always a new establishment on every visit. With the island’s closure last 2018, tourists hope to see a major improvement on the entire experience and offerings. Ferra Hotel and Garden Suites’ addition to the affiliated list of Boracay accommodations will surely ensure guests for an enjoyable and worthwhile vacation. 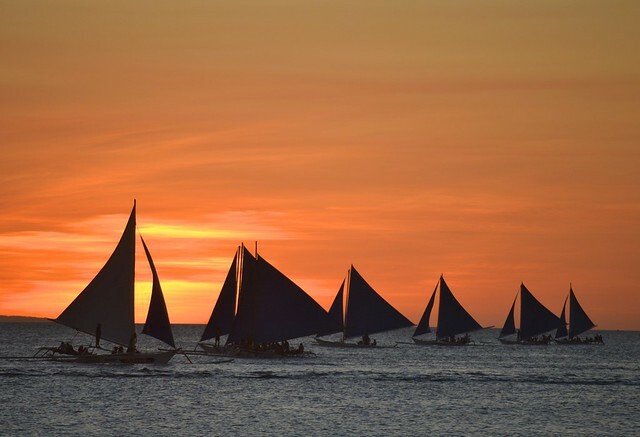 Boracay never fails to provide a stunning sunset.